The first American release for British author Katy Regan, Little Big Love is a heartfelt story of family secrets and lies that are slowly revealed over the course of roughly 360 pages. Set in Grimsby, England and narrated by three different characters with distinct points-of-view (each of whom also represent a different generation of the Hutchinson family), events are set into motion when ten-year-old Zac and his best friend Teagan decide to look for the father whom Zac believes abandoned him and his mother Juliet before birth. 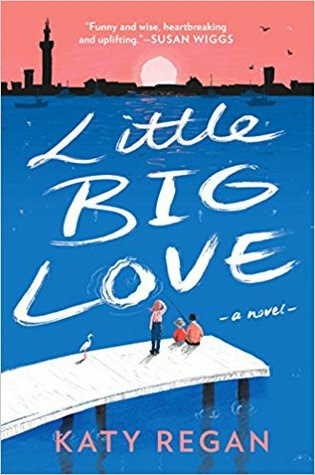 More than just a writerly gimmick, the trio of narrators works quite well in Little Big Love, even if occasionally the plot lags a bit with some adorable filler care of young, inquisitive Zac. Likewise, and disappointingly for the book's only female narrator, Juliet's character in particular grates slightly on the nerves – swinging like a pendulum from extreme self-loathing and immaturity to downright mother of the year material. In spite of its struggles however, overall the author's heart is in the right place and we're right there with her as Zac's mission begins to yield surprising results – impacting the lives of multiple characters throughout. And this is particularly evident in the case of Zac’s grandfather Mick, whose chapters are among the novel’s strongest as he leads us further back in time in order to bring two absent figures to life. A terrific reminder of just how much emotional mystery exists within our family trees, I found myself rapidly turning pages as more hidden truths came to light before Little Big Love eventually reached its tender, lovely, twist-filled resolution. Releasing first on April 19 in the U.K. as Little Big Man – in reference to the author's son and Little muse – before arriving stateside in mid-June just in time for summer, it makes an ideal read for those who loved fellow tissues necessary (but not included) titles Dear Frankie and/or About a Boy. 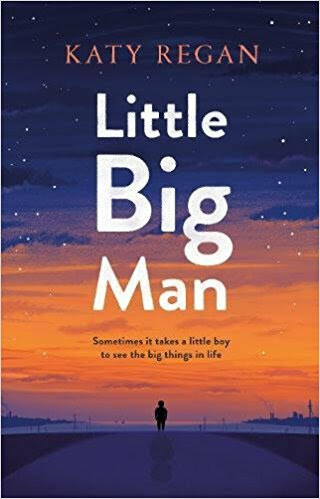 Needless to say, whether Little, Big, or even about Love at all, I’m looking forward to reading whatever it is that Katy Regan delivers next. Text ©2018, Film Intuition, LLC; All Rights Reserved. http://www.filmintuition.com Unauthorized Reproduction or Publication Elsewhere is Strictly Prohibited and in violation of the Digital Millennium Copyright Act. FTC Disclosure: I received a galley review copy of this title in order to voluntarily decide to evaluate it for my readers from First To Read, which had no impact whatsoever on whether or not it received a favorable or unfavorable critique.